We love supporting local organizations and events in the community, like the Florence Ford Road Race on Ninth Street, Durham. The race is organized by and for the Autoimmune Encephalitis Alliance and all proceeds support the awareness, education and improvements in clinical care for individuals with AE. 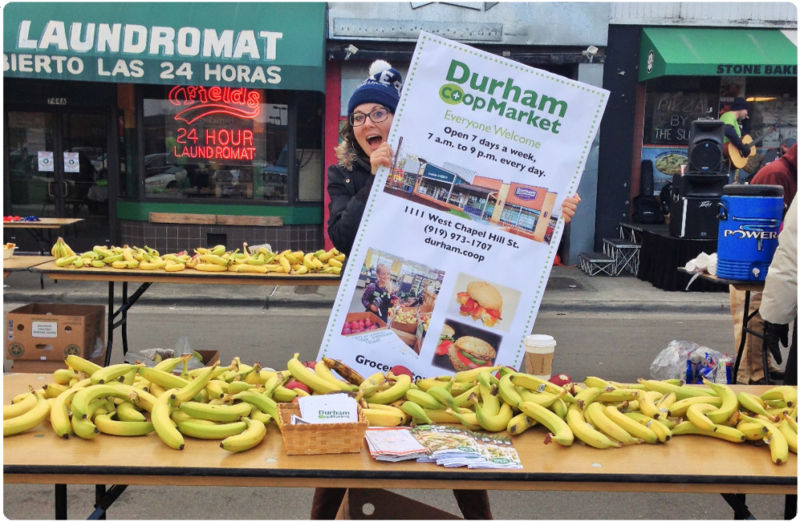 The Durham Co-op participated in the 2016 race by donating healthy snacks for the runners at the finish line! We had a great time watching all of the runners and families come out to support a great cause. Durham Co-op Market is guided by the Seven International Cooperative Principles. Number 7 is all about concern for our community and finding ways to give back. One of the many ways DCM strives to serve the Durham community and our region is through our Food Bank donations. Each month we donate food to numerous organizations that serve our community. We are proud to be facilitating the Habitat for Humanity of Durham‘s We CAN Build It campaign to raise money for families in the Durham community in need of housing. The Durham Co-op is currently a pick-up location for those who have donated to the campaign to pick up their 5-pack of 32 oz. specialty canned local beers. To find out more about this campaign, or to donate, click HERE! Then make sure to choose the Durham Co-op as your pick-up location! 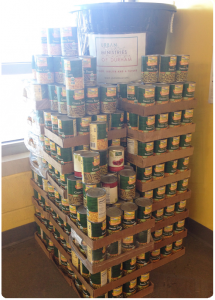 Durham Co-op Market loves to provide food donations to organizations within the Durham community. We schedule food donations and food pick up times for many organizations including the Durham Rescue Mission and Urban Ministries of Durham. Our participation with these local organizations enables the DCM to minimize food waste and make healthy foods accessible to the community. Our vision is to find ways to serve more organizations and expand our partnerships with schools and educational programs that focus on healthy eating and nutrition within the city of Durham.